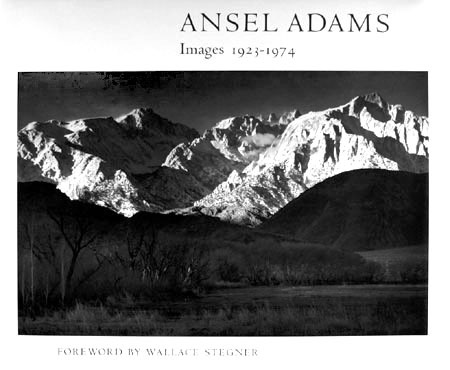 Ansel Adams's documentation of the western landscape has taken on iconic significance as one of the defining purist visions of both the American West and of the photographic medium. Images taken within the National Park System have frequently been used to promote tourism and preservation of the landscapes they portray. Compositionally, Adams tends to frame monuments of nature so that their iconic character is evoked, and to this aim, he avoids including the tourists and signs of habitation that surround the sites. Born in San Francisco in 1902, Adams began working as an official photographer for the Sierra Club in 1928. In 1932 he and other California-based photographers, including Edward Weston, founded the group f64, which maintained an interest in the technically perfect photographic print. The name f64 is a reference to the smallest standardized aperture setting on the camera's lens; photographs taken on this setting have the greatest depth of field meaning that nearly every object in the picture plane is in perfect focus. Adams developed a means of explaining exposure and development control known as the "zone system," publishing his first book on how to master photographic technique in 1935. Over the next several years, Adams published a number of books and articles detailing his photographic approach; his titles include The Camera and the Lens (1948), The Negative (1948), The Print (1950), Natural Light Photography (1952), and Artificial Light Photography (1956). In the 1930s, Adams printed the photographs of Dorothea Lange, with whom he would collaborate with on several assignments including a study of the wartime shipyards in Richmond, California (1945), a report for Life on the Mormons in Utah, and a project on agriculture in the San Joaquin valley for Fortune (both published in the 1950s). His photographs of Yosemite Valley – a lifelong inspiration to Adams – and other subjects have been frequently reproduced, published as portfolios, and exhibited internationally. Adams was elected a Fellow of the American Academy of Arts and Sciences, and was critical in the founding of The Friends of Photography, the Ansel Adams Center for Photography, San Francisco, which existed from 1967 to 2001. 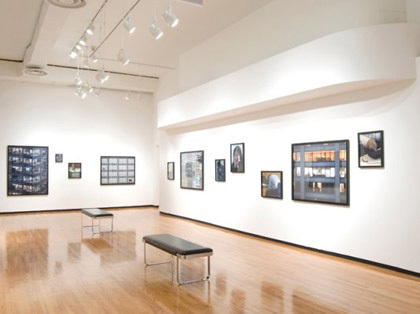 In 2002, John Szarkowski organized a traveling exhibition of Adams's work commemorating the 100th Anniversary of his birth. In 1985, a year after Adams's death, an 11,760 foot mountain in Yosemite National Park was named Mt. Ansel Adams.